Game Plan provides services to buyers, sellers, lenders, owners and investors in the professional sports industry. The company also provides services to professional sports leagues and to entertainment, facility management and event management companies. The principals have experience in and have completed transactions in virtually every phase of the sports and entertainment business. Both principals have each owned and managed a professional football team. We invite you to learn more about how Game Plan can be your ticket to success in the unique and complex sports industry. Game Plan has a comprehensive network of contacts and maintains close relationships with all of the League offices and Commissioners as well as many key Team owners in both the Major and Minor leagues. We also have close relationships with all of the major banks and debt sources that have provided debt for major sports transactions. As an industry insider we are able to identify potential transaction opportunities unknown and inaccessible to outsiders. Game Plan has successfully completed some of the most challenging sports industry transactions on behalf of our clients. We utilize our insider access and expertise to identify and evaluate potential opportunities, conduct negotiations, and apply sophisticated financing structures in order to optimize the value of the transaction for our clients. This successful approach consistently pays dividends as former clients return to Game Plan when new sports industry opportunities arise. Game Plan provides a full range of investment banking, consulting, and financial advisory services. Game Plan has the unique ability to offer the highest level of service in each area given the principals’ extensive knowledge, experience and relationships in the sports industry. including assistance in determining franchise value, identifying and contacting potential buyers, preparation of marketing materials for presentation to potential buyers, transaction structuring, negotiations on behalf of the seller, and assistance in securing transaction approval from the appropriate league’s Office of the Commissioner. including identifying acquisition targets consistent with our clients’ goals, due diligence of team business and financial information, assistance in determining value, raising equity capital for the buyer, arranging acquisition debt, handling the purchase negotiations for the buyer, and assistance in securing transaction approval from the appropriate league’s Office of the Commissioner. Game Plan and Grosvenor Park Media, the leading speciality financier in entertainment and media, have formed an alliance to provide specialty lending to the sports industry. With over 50 years of combined financing experience in professional sports, media and entertainment the alliance empowers Game Plan to provide new financing solutions tailored to the unique requirements of the sports industry. Washington Bancard in conjunction with Game Plan has developed a unique program to serve the credit card processing needs of the professional sports industry. The National Hockey League, American Hockey League and East Coast Hockey League have appointed Washington Bancard as their exclusive credit card processor. to secure market rates and terms. for existing team owners and/or limited partners. and associated capital acquisition for business expansion. 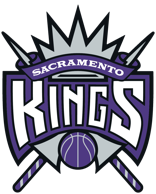 Consulting and investment banking services to Sacramento Basketball Holdings LLC and Vivek Ranadive including raising equity capital and arranging debt financing for the acquisition of the Sacramento Kings of the National Basketball Association. 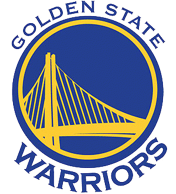 Consulting and investment banking services to Joe Lacob and Peter Guber with respect to the acquisition of the Golden State Warriors of the National Basketball Association for $450 million. Game Plan raised the equity and debt capital for the transaction. 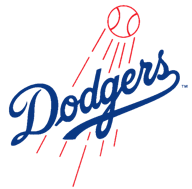 Investment banking services on behalf of Frank H. McCourt, Jr. with respect to the acquisition of the Los Angeles Dodgers of Major League Baseball and its related assets including Dodger Stadium and 276 acres in downtown Los Angeles for a total purchase price of $430 million. 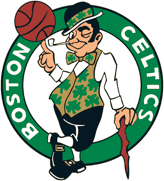 Investment banking services on behalf of Irving Grousbeck (Co-Founder of Continental Cablevision) and Wyc Grousbeck (former Partner, Highland Capital) with respect to the acquisition of the Boston Celtics of the National Basketball Association for $360 million, including arranging debt and equity capital for the transaction. 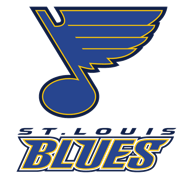 Consulting and investment banking services to Paige Sports Entertainment with respect to the sale of the St. Louis Blues of the National Hockey League and the sale of the Savvis Center Lease with the City of St. Louis for a total purchase price of $153 million.